I think I found the issue I keep stumbling into- The “Open Shading Language” is unchecked whenever I try to use the Toonkit and I keep forgetting to check it. Though now I’ve encountered this when trying to add in the outline node: the textures its attached to render the textures in Black & White rather than color. I’ll send the issue over to you on BlenderMarket too. Because I don’t know what’s going on here, either. We’re proud to announce the Toonkit 1.3 preview 1 is here! Note that it’s the first version only for blender 2.8x! If you find any problem, has doubts or suggestions just let us know. Many People was asking if Toonkit works with multiple lamps, textures and how to integrate real reflections. Here’s a sample. I just bought toonkit yesterday and sadly, I have the bug with osl + viewport rendered with cycle. But I see in your last post that you can render in blender 2.8 without crashing, how did you do that ? Is there a workaround ? I’m sorry if it’s a stupid question, I’m still new to blender. Yes, I know, but, how do you avoid this case ? In your last video, you have a real time cycle with toonkit without crash. I thought the name @vitorbalbio and Cogumelo sounded familiar and after visiting my BlenderMarket account I realized why. I spent $40 with you back in October 2014 for MotionTool and never after that was this Addon updated. Then I purchased BakeTool two weeks later and all talk about BakeTool 2.0 died. I really want to support this effort and I love what I’m seeing, but you got me with your initial efforts in previous years before you just stopped developing your Addons that you got paid for. The best way to avoid it is do not open the material tab in properties while rendering in the viewport. If you check the video again I never do it. See also that blender 2.8 is experimental and there’s a lot of documented and non documented bugs on it. We had provided updates for baketool all along those 4 years that it’s released fixing bugs and adding features. If you check our YouTube channel you will see that baketool 2.0 is on the way for blender 2.8 with a huge rework in the code and many new features included a custom GUI for reports. Motiontool did have less updates during this time because many reasons but the most important is that it’s almost feature complete by what we proposed to do at the time and it’s too complex. I tried for two times rework the core update system to make it faster with multithead but it was not possible at blender 2.7x python api. 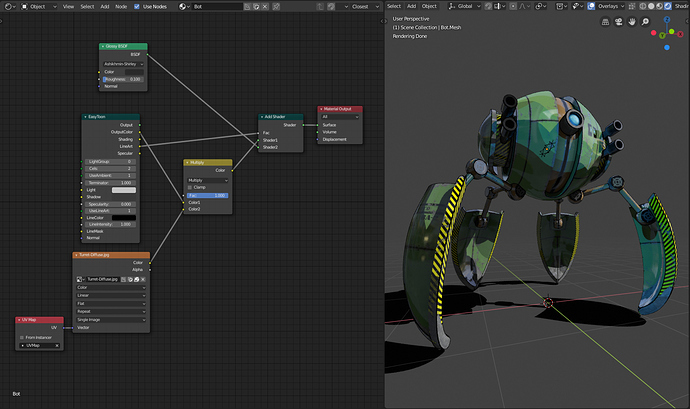 We also was competing with the totally free Animation nodes and the future build-in “everything nodes” from blender. 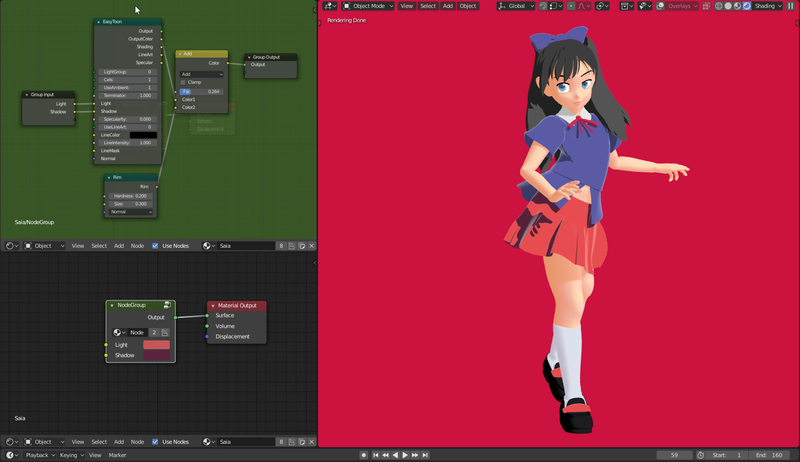 So the future of motiontool is uncertain but maybe it can at least be ported to blender 2.8x. Ahh, thank you so much for your reply ! I thought it was the material tab and the shader editor that was causing the crash ! @vitorbalbio Thanks for the great update to 2.8. The easy toon node is amazing, are there plans to add a specular color channel in the future? You can change the specular color per light in the Toonkit light settings. Slightly off-topic, but as I’m not switching to 2.8 anytime soon I’m wondering about functionality in 2.79 using Toonkit 1.1. This does not work in 1.1, so I’m hoping there’s another way to prevent an object from casting any shadows? Thanks! I figured since this thread looks like it’s still active, I’d ask a question I have about Toonkit here before emailing the creators directly. I apologise if I’m missing something really stupid and simple, but I’m still pretty new to Blender and even 3D in general (at least new enough that I still have a LOT to learn). I’d like to see how the characters in my short film would look with lineart. I’ve already got a decent toon shader on them with Toonkit nodes (although please let me know if there are ways I could improve it! ), but I absolutely cannot get the lineart nodes to work. Thanks so much in advance for any advice! Is there any way of baking the results to a diffuse texture? I’ll look into that and see if it helps, thanks!